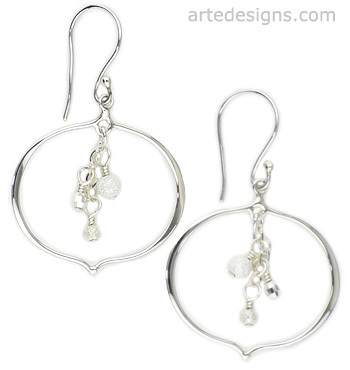 Here is a perfect combination of shape and texture... these unique hoop earrings are paired up with sparking celestial sterling silver balls that cascade perfectly down the center. Versatile, lightweight, and full of personality. Approximately 1.75 inches long. Sterling silver wires.